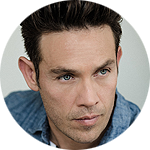 Kevin Alejandro currently stars as Detective ‘Douche’ Espinoza on FOX’s series Lucifer. He previously starred on HBO’s global hit series True Blood as Jesus Velasquez. He also starred in TNT’s critically acclaimed series Southland as Detective Nate Moretta. Other credits include The Returned (A&E), Sleeper Cell: American Terror (Showtime), Ugly Betty (ABC), and Arrow (CW). Kevin recently directed the dramedy short, Bedtime Story, starring Patrick Fischler and Tricia Helfer, currently on the festival circuit. It recently won Best of Festival at the Hollywood Short Film Festival 2018 and Kevin also won Best Director. Since completing the Directors’ Workshop, he directed an episode of Lucifer (FOX).